Knights and their ladies of this Holy order shall be seen as people of Proven Character, called into knighthood ministry for the defence and furtherance of the Gospel or our Lord anywhere, anytime using God’s given endowed means. As people saved and called to serve shall pay allegiance first to Christ, secondly to the church/the Diocese and the Diocesan that has bestowed on them this means of grace as God’s commissaries and faithful soldiers of the cross. We are a spiritual organization (holy order) not a social gathering like Rotary club, not a cult, whose activities are Bible based and daily living out the Bible’s teachings. We are bearers of the light of the Gospel in religions, social, economic, political and all strata of life. By this we seek to make Him known in all places and palaces. We offer selfless and humanitarian services in the society as we routinely offer support like empowerment to the widows and bursary awards to the indigent students within our faith community. We assist other functionaries of the church as support base, to achieve the common goal of spreading the Gospel of Christ through all evangelical activities like crusades, social responses, and numerous services. We strengthen the faith of the knights and ladies of this holy order through our yearly retreat to refresh and reload for the noble task of our calling. We also hold fellowship with the parishes within the Diocese and partnership with the churches to meet obvious and genuine needs in the church. We shall serve as God’s emissaries and also the eyes of the Bishop in the Diocese. In collegial, we shall extend warm hand of fellowship to other knights and ladies within our communion. We seek to portray knighthood as a call to duty and not a reward for services. Only God can offer a lasting reward. We shall offer ourselves labouring for His services, die empty so that long after we have left posterity will chant our praise saying, ‘You were once here’. This is our thrust. Originally Knights were men from noble and well known families. Each Knight was expected to earn it; hence the title cannot be inherited or transferred. Men and women who distinguished themselves in the State, Church and various organizations in the world are usually honoured or recognized. In England, when Queen Elizabeth confers knighthood it is in recognition of deeds done in service of the crown, commonwealth or the entire world. Knighthood began as a secular institution in ancient Rome. From there it spread to other parts of Europe by the 10th century, hence it grew into Medieval-Knighthood. The loyalty of the recipients to their king was not in doubt. They were trained in chivalry or knightly conduct which included being brave, loyal, generous even to fallen foes and above all, showing reverence to God. During the crusades that took place between the 11th and 13th centuries many Knights joined in order to liberate the Holy Lands from Moslem occupation. It was as a result of their valuable role that the Popes of the Holy Catholic Church started to create Knighthood Orders. This means that Knighthood was incorporated into the Church long before the performance. During the 12th century, the order of Religious Knights had spread to Europe to such countries as Italy, France, Germany, England and others. The Knights became powerful that it was difficult for the King and Pope to control them. But the orders of Knights were eventually suppressed by the combined efforts of Kings Philip the Faire and Clement V.
(a) The Knight Templars, who defended the holy Temple against Moslems. It helps us to understand that the Christian Church came into knighthood when Moslems in power would attack the temple in Jerusalem in the day light causing destruction and at night able-bodied Christian militants would launch counter attacks against the enemy Moslems and would more often than not, beat them firmly back. The nights counter attacks resulted in these Christian militant faithfuls being called Nights, now spelt Knights. (b) The Knights Hospitallers or Knights of the Order of St. John of Jerusalem [Dedicated to John the Baptist] who provided hospitality and medicine to Christian soldiers in the Holy Land. These Knights had their vows, orders and functions both spiritual and temporal, including military. The Anglican Church which constituted part of the Holy Catholic Church was part of the one church founded by Christ. Therefore, Knighthood among other institutions is part of our common heritage before the church was divided. It was in realization of the existence of Knighthood as a means of motivating devoted Christians that the Anglican Church in Nigeria in recent time has revived from the ecclesiastical archives, the Knighthood institution. SAINT CHRISTOPHER: St. Christopher was a strong man who earned his living by carrying travelers across a river. On one occasion he carried a small child who caused him to bow under his burden. The child was none other than Christ and His weight was that of the whole world, hence the name Chrostophorous, “Christ Carrier.” Christopher has, therefore, become the Patron Saint of all who travelled by land, sea and air and who in all their travels week to be carriers of Christ, His Church and His influence. SAINT MARY: St. Mary, the Blessed Virgin, the Mother of Christ. The place accorded her in catholic and orthodox theology and devotion issues from her position as Mother of the Redeemer. And so as a true example and pattern of “Mother of All Mothers.” She is counted pre-eminent among the Saints. Though mentioned several times during Christ’s public ministry, she remains mainly in the background. According to the Fourth Gospel, she appeared at the foot of the Cross (John 19:24). She epitomizes the patience and courage that is desired of ladies whose Matron she is. They are to fight and follow Christ even unto the end. WHO IS A CHRISTIAN KNIGHT TODAY? A Knight is simply not one who holds honorific title ‘Sir’ as a reward for his or her past services and thus marking his or her retirement from Church Ministry/Service. A Knight is rather one who has distinguished him/herself in service to the Church and society. Then the Church will decide to bring him or her to the rank. The description of a Christian Knight here does not create opportunity for mere decoration. It calls for action and service. A Knight must be a communicant within the Anglican Church. A Knight must respect Christian Marriage. A Knight must not be a member of a secret cult. Or if he was a member must be prepared to renounce secret cult publicly and sincerely. A Knight must not trust in occultism, black art and black prayers for power and protection. A Knight must have strong working faith in God through Jesus Christ. A Knight must accept Jesus Christ as Lord and Saviour and be a balanced Christian and not a fanatic. A Knight must be a loyal defender of the Church. A Knight must speak the truth and promote peace and harmony. A Knight must at all times support God’s servants and those in need. It is based on our understanding about Christian marriage that we believe that the ladies auxiliary (the wives of the Knights) must be instructed on how they can be instrumental to their husband fulfilling their ministry through the vehicle of knighthood. As a lady Knight of St. Christopher and any of the Orders, you are a supporter or a help meet (Genesis 2:18) to your husband. Therefore, your husband’s success can be attributed to your support. Behind every successful man there is a prudent wife. Everybody is interested in your family. The conduct of your children in the school, community and the Church will attract attention. As a result, you have the role of training the children to fit into what everyone expects of a child from a Christian home (Proverbs 31:25, 22:6). In the lady’s vow, she promises that she will be an example of an ideal wife, a mother among mothers. This is not lip-service. It has to do with absolute trust in the strength of the Lord through prayers and constant study of God’s word. Nobody has ever prevailed by strength. In speech, the enablement to carry-out the task of this ministry depends absolutely on how one relies on God in prayers, through fellowshipping with God’s people. The Diocese of Calabar was inaugurated on the 20th of December, 1990. The Pioneer Bishop of Calabar, Rt. Rev. W. G. Ekpirikpo (JP) now late, discreetly invested some distinguished members of the Diocese into the Orders of Knighthood of St. Christopher and St. Mary. The first investiture was done in 1997; the Knights of St. Christopher has twenty-seven (27) persons invested into that order and six persons into the Order of St. Mary. In 1999, the Bishop also invested into the Order of Knighthood of St. Christopher distinguished members of the Diocese before his retirement in 1999. As soon as His Grace, The Most Rev. 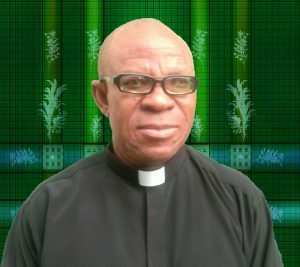 Tunde Adeleye, the incumbent Bishop of Calabar took over the See of Calabar in 1999, he began to develop the Knighthood of the Diocese spiritually, ministerially through series of retreats. These have fashioned the Knighthood of the Diocese into an energetic, resourceful, supportive and focused institution. At this point in his episcopacy, His Grace, The Most Rev. Tunde Adeleye has decided to invest some distinguished and devoted members of the Diocese with the Knighthood of St. Christopher and St. Mary. The Church does not honour like the world. The honour God bestows on us is based on the Lord’s favour and call. The Bible reveals it thus, “And no one taketh this honour unto himself, but he that is called of God ….” (Hebrews 5:4). It is good at this juncture to reemphasize that the title ‘Sir’ or ‘Lady’ is not given so as to reward one for his or her past services as a result marking his or her retirement from Church Ministry/Service. It is not as well an elevation to be bigger than the Lord of the Church who revealed Himself not as a Master but a ‘Servant’. It is indeed a call to serve. Sir. & Lady. John Chukwudozie.